The accelerated development of the Crostini Project and Linux apps on Chrome OS is a promising sign that we may see the new features come to the Stable channel for more users in the very near future. If we’re lucky, we might see Crostini move to the Stable channel in the next major update to Chrome OS 69 just in time for Google’s annual October hardware event. I wouldn’t expect much fanfare but I think the fine folks in Mountain View have bigger plans for the Linux app project than we really have a grasp. We’ll just have to wait and see. Until then, there’s still plenty to be excited about from the world of Chrome OS. About a week behind schedule, Chrome OS 68 has begun rolling out to users. As usual, some devices will be excluded from the update and we will bring you that list as soon as we have it together. The update will be headed your way over the next couple of weeks and include an impressive list of updates that we will dissect as we test them out. There’s a lot to dig into here but the feature that sticks out to me is the high-res image support for the camera app. Robby reported last week on Google’s Android Camera app landing on Chrome OS and the updates support should greatly improve image quality for devices like the Hp Chromebook x2 that use a mobile phone-grade camera. Material Design 2.0 continues to spread across Chrome OS and Google’s products are rapidly gaining the increasingly familiar look across the board. 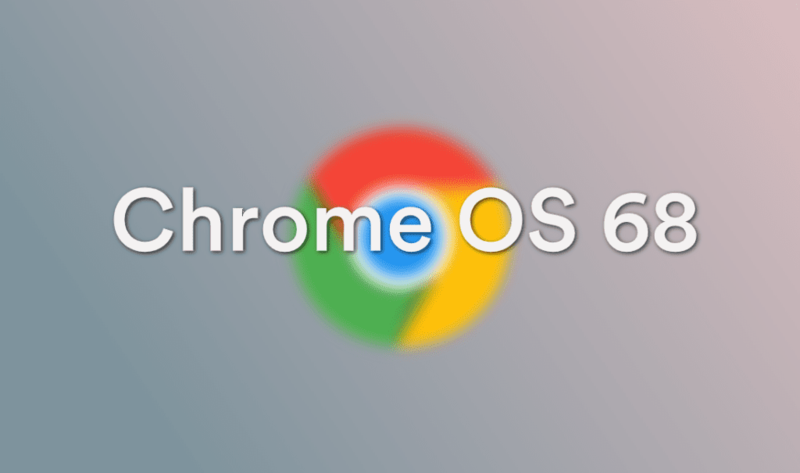 Stay tuned throughout the week as we tear down some of the new features from Chrome OS 68. If you haven’t received the update, patience my friends. It’s on the way.